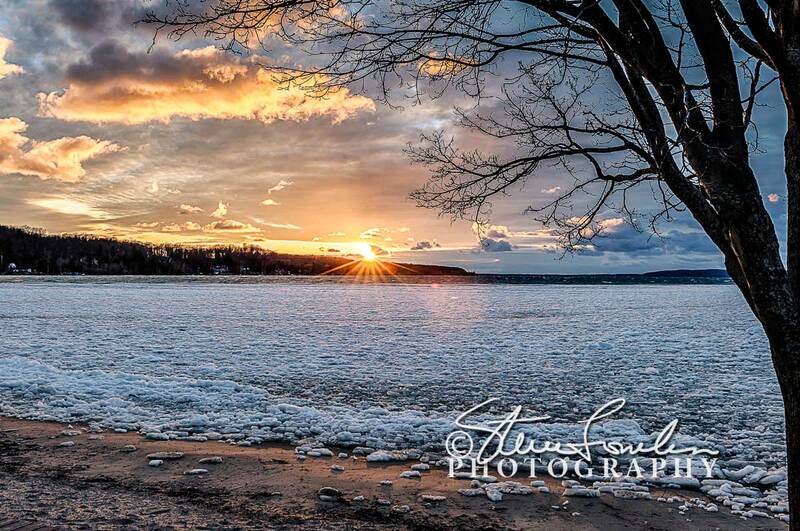 On April 19th, I had been on the road for the afternoon and evening but as I was approaching Beulah and Crystal Lake I could see how lovely the sunset was over the lake. The broken ice had been blow to the center of the lake earlier in the day but had blown back by evening. I likes the texture of the ice juxtaposed with the clouds and color in the sky. I only had time to fire a few shots before the sun set behind the hill. 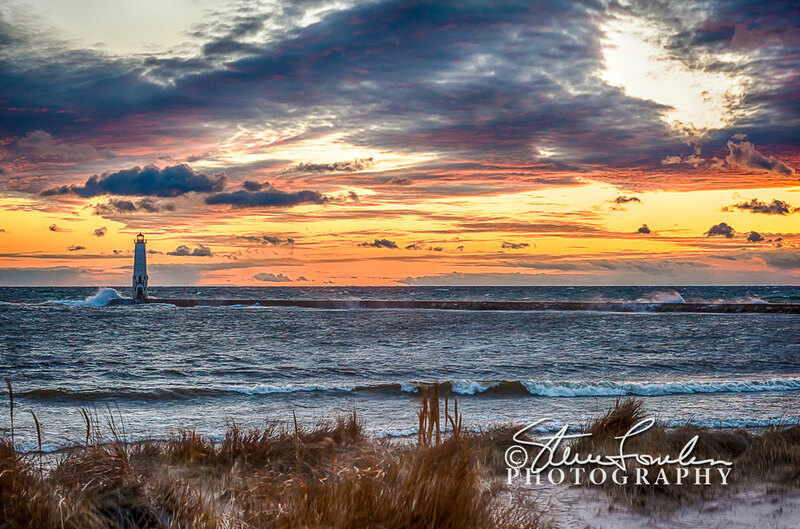 Then I hopped in the car and made it to Frankfort to get the sunset twilight at the Frankfort Light. It had been very windy all day and there were still some waves breaking on the pier. 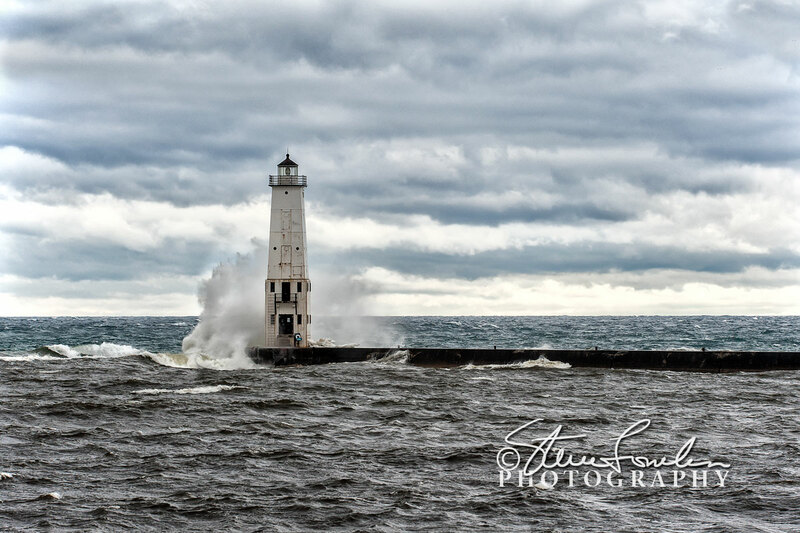 Earlier the waves had been somewhat larger with bigger splashes on the pier as seen in the first photo.